Who doesn’t want the ultimate sleeping experience night after night after night? 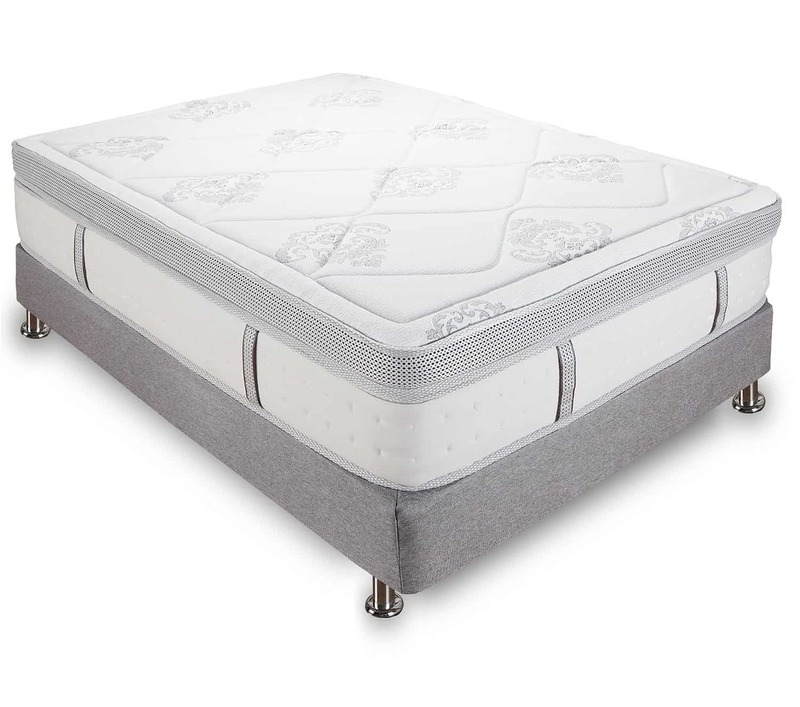 With the Classic Brands Gramercy 14 Inch Hybrid Cool Gel Memory Foam and Innerspring Mattress this is possible. The lineup of Classic Brands products is continuously innovating to incorporate top quality materials and advanced technology to give customers uninterrupted, relaxing, and restful sleep. The Gramercy Cool Gel 14 Inch Hybrid Memory Foam and Innerspring Mattress is the result of combining two of the sleep technology industry’s best that of the innerspring mattress and the hybrid memory foam. Notwithstanding its ultra-plush feel, the Gramercy’s coil base is pocketed, providing unparalleled orthopedic support to the user and eliminating motion transfer while the user sleeps. Twin XL: overall length is 80 inches from head to toe. Queen Size: overall width is 60 inches from side to side, overall thickness from top to bottom is 14 inches, and overall length is 80 inches from head to toe. California King Size: overall width from side to side is 72 inches, overall length from head to toe is 84 inches, and overall thickness is 14 inches from top to bottom. King Size: overall length is 76 inches from head to toe, overall thickness from top to bottom is 14 inches, and overall width is 80 inches from side to side. 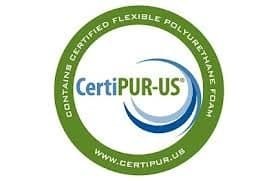 Because it is U.S.-approved CertiPUR, there is no emission of chemical-laden odor from it during sleep. Additionally, the mattress has a quilted knit top cover that has been beautifully designed with details, corded edge, and coordinated knit sides for unsurpassed breathability. And because the Gramercy can be easily compressed, it fits right in its box for quick transport through hallways and staircases. 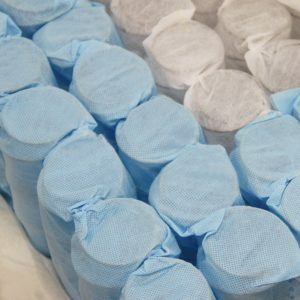 This mattress is, according to those who have purchased it, a “tad firmer” than what one would expect of it, yet because it retains its plush feel, it has become increasingly popular with customers who want a gel memory foam mattress but without the heat which usually accompanies this kind of mattress. Motion transfer that can disrupt sleep is prevented by its base of individually-pocketed coils. Coil gauge is a major factor for consideration when buying a mattress because this is how the thickness of the coils inside can be measured. Coil gauge measurements are typically between 12 and 15, the rule of thumb being the higher the number, the softer the coil and the thinner its wire. The Gramercy’s coil gauge is pegged at 13, meaning it has an exceptionally high level of firmness. With 768 steel coils, each with a gauge of 13, you can expect the Gramercy mattress to distribute full support for your head, neck, spine, shoulders, and hips consistently while you sleep. This is possible because of the Gramercy’s contour feature that adapts to the curves of your body without interrupting your sleep even when you shift positions. Moreover, its gel memory foam provides a continuously cool surface while you sleep. The Gramercy’s use of gel memory foam means the support you get from this mattress while you are in deep slumber is complete and stress-free. Gel memory foam has interconnected cells that, unlike those found in closed cell foam, are more breathable and can regulate temperature consistently throughout the entire mattress. This allows your spine to remain aligned to a neutral position while you sleep. This particular Classic Brands mattress even fills in any gaps or spaces that develop in it when you do move to reshape itself to support your entire body’s new sleep position. This feature is especially important for people who tend to turn and toss while sleeping and for those who are considered side sleepers, albeit this mattress provides the same adequate support for back sleepers as well. 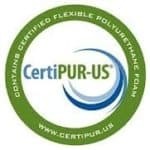 Most similarly-purposed mattress brands offer customers a warranty of ten years. 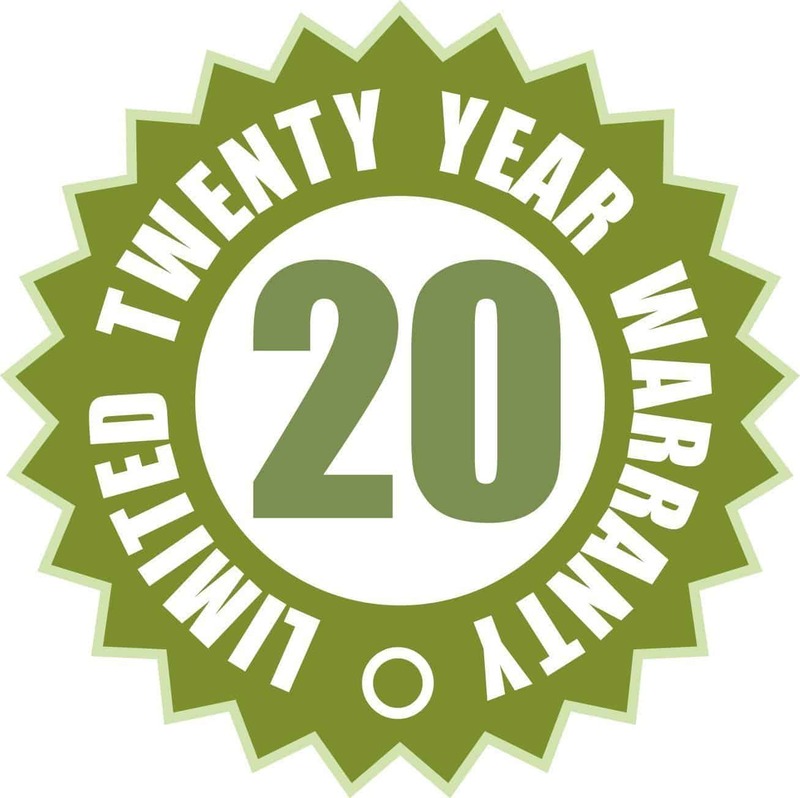 The length of the warranty of a Gramercy 14 Inch Hybrid Cool Gel Memory Foam and Innerspring Mattress is 20 years and this can only mean that the product’s durability, quality, and performance are features which Classic Brands is willing to stand for. 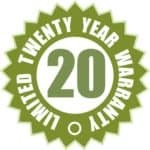 Additionally, this 20 year warranty gives customers a strong sense of purchase security. Based on 92 Amazon reviews, customers gave the Classic Brands Gramercy 14 Inch Hybrid Cool Gel Memory Foam and Innerspring Mattress an overall rating of 4.5 stars out of five; 75% of these customers, in fact, gave the mattress the highest rating of five stars. Moreover, the total of positive reviews of the Gramercy was 83 while negative reviews registered at only nine. 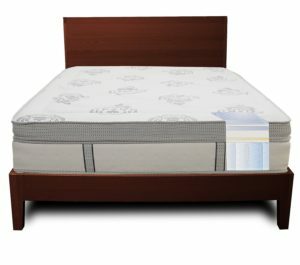 Most customers agree that one of the best features of this particular Classic Brands mattress is its solid construction. One review even mentioned that jumping on one side will not make the other side budge because of how sturdy it is built. Moreover, customers noted that the straps around the mattress base make it easier to pick it up when moving it. The best reviews of the Gramercy mattress, however, came from customers who purchased it primarily to alleviate health conditions such as post-surgery pain and spinal disc issues. While some experienced discomfort with the edges and corners of the mattress, as mentioned earlier, there were still more customers who experienced satisfaction with the product than those who didn’t. And while several reviews made mention of the price of the Gramercy – which is, admittedly, way more expensive than other similarly-purposed brands in its class – the words “value for money” were also mentioned. Indeed, the Gramercy’s gel memory foam – a product of the continuous innovation of Classic Brands – is an expert when it comes to conformity with the user’s body that prevents any kind of sleep disruption. The Classic Brands Gramercy 14 Inch Hybrid Cool Gel Memory Foam and Innerspring Mattress is actually not that firm because there is a certain softness to its feel, yet it remains an excellent source of support for a user’s neck, shoulders, back, spine, and hips during sleep. Its gel memory foam is a layer separate from the rest of the mattress that has a bottom made of superior quality coil springs. Should you buy this particular Classic Brands mattress? All of us want value for our money but none more than for a mattress which provides us the sleep, rest, and relaxation that our bodies need to remain healthy and fully functional. It isn’t every day that a mattress like the Gramercy is available, either, so purchasing one is worth considering because owning it is eventually a wise, long term investment. 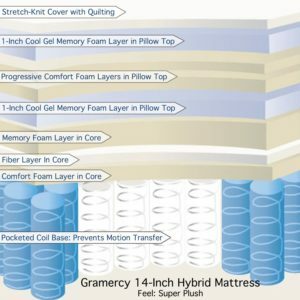 What makes the Gramercy 14 Inch Hybrid Cool Gel Memory Foam and Innerspring Mattress a great bed is not so much its durability as its performance. Yes, this mattress is not cheap because it creates an unparalleled sleeping experience that is comfortable, restorative, uninterrupted, restful, and supportive of your entire body. With the Gramercy, you sleep for longer in positions you prefer without disturbance. And should you turn and toss more than usual during sleep, this mattress has a gel memory foam with remarkable visco-elasticity that fills in the gaps your shift in sleep positions created. This foam then reshapes itself so it can accommodate your body’s curves and give it full support during sleep. Check out the official Classic Brands website for further information on how the Gramercy can meet your particular sleep needs.